As the second leading cause of blindness in the United States, glaucoma is a group of eye diseases in which the optic nerve has been damaged by high pressure within the eye itself. While this condition cannot be cured, there are treatments available to reduce or prevent vision loss. Some treatment options include medication, conventional surgery, and laser eye surgery also known as refractive surgery. Glaucoma can occur in anyone, although there are certain risk factors which may include high blood pressure, diabetes, long-term steroid use, age, and family history. Those most at risk include African Americans and people over the age of 60. A routine eye exam will usually detect signs of glaucoma. You may be a good candidate for glaucoma surgery if you find daily eye drops unsuitable, or they have been unsuccessful at controlling the pressure inside your eye. In people with glaucoma, the drainage system in the eye itself has stopped functioning properly. This causes a clear fluid called aqueous humor to build up in the eye. The increased pressure damages the optic nerve causing vision loss. While the vision loss is usually permanent, further vision loss can be prevented through prompt treatment. Treatment can either decrease the production of aqueous humor or improve drainage of this fluid with the overall goal of reducing pressure in the eye. Medications to treat glaucoma are eye drops used once per day for life to control the eye pressure. Many patients opt for surgery to further reduce the chance of optic nerve damage and to preserve their vision for as long as possible. There are also several surgical options using lasers. Selective Laser Trabeculoplasty uses a laser to cut selective holes within the eye to improve drainage. The Iridotomy technique uses a laser to create a hole near the iris, resulting in increased flow of fluid. Endoscopic CycloPhotocoagulation surgery (or ECP) is a form of glaucoma surgery that reduces the amount of fluid produced. Conventional surgery, known as filtration surgery, involves the creation of a new drainage channel which helps the fluid exit the eye. 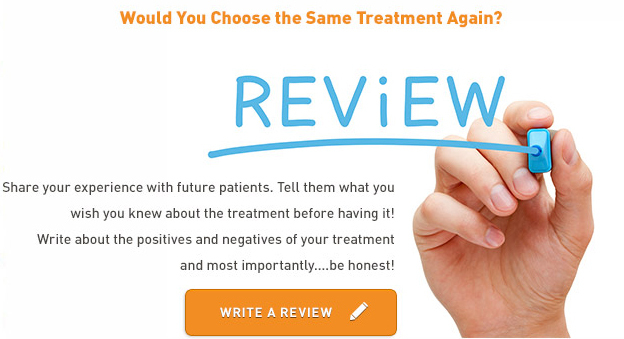 Today, it is usually performed only on patients who find medication or laser eye surgery unsuitable or unsuccessful. While risks are rare, there are some potential complications of glaucoma surgery. Some possible complications include an excessive drop or short-term increase in intraocular pressure, both of which can be controlled with medications. There is also a slightly increased risk of cataracts following the surgery. Potential complications of conventional surgery include infection, inflammation, bleeding, and an excessive drop in intraocular pressure. Recovery from laser surgery is just a few days, while those who undergo conventional surgery can expect a one to two week recovery time. Following surgery, the eye will be irritated and red. Though your eyesight may initially be blurry, vision results should stabilize in as little as a few days for those who have undergone laser surgery. Some patients who undergo conventional surgery find that it takes several months for their vision to stabilize. Most patients take at least a week away from work, exercise, driving, and other activities, particularly those that could increase blood flow or pressure in the eye. DID YOU HAVE GLAUCOMA SURGERY? The cost of glaucoma treatment depends on the treatment method chosen. The medication averages $1,500 to $2,000 per year in the United States. Surgery tends to be more expensive, averaging $2,000 to $5,000, though it is a one-time cost rather than a lifetime expense. These costs are typically covered by health insurance. If you are paying part or all of this expense out-of-pocket, ask your eye doctor about financing options that may be available to you.